The department says no one was injured in the incident, but it serves as a reminder of the state's move over law. 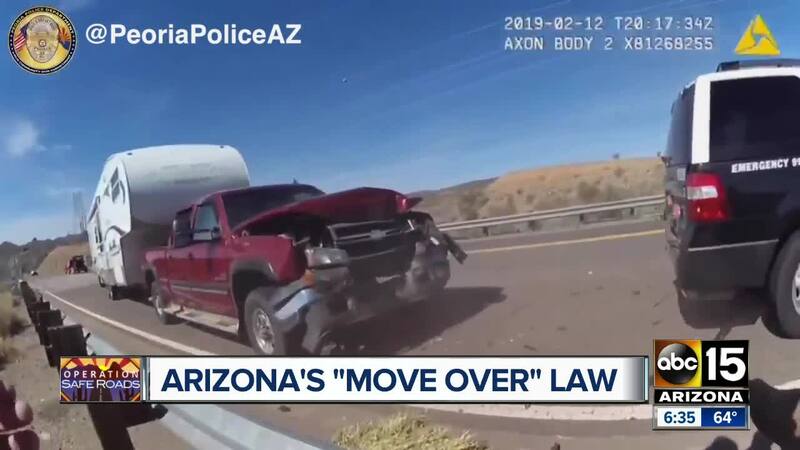 PEORIA, AZ — Peoria police are reminding drivers to "move over and slow down for stopped emergency vehicles" after an officer's vehicle was struck on February 12. Several of the Operation Safe Roads pillars are basically rolled into one in this story: secure your load, slow down, use caution and most importantly in this video, move over. Peoria police say an officer stopped on eastbound SR-74 at mile marker 22 to move hay from the road when his vehicle was hit by another car. Police say the driver was not impaired and stated they were unable to slow down because "the vehicle in front of them had slowed down while passing the police vehicle." "Nobody was injured thankfully and we want to get the message out to people to devote their full attention to driving and to move over and slow down for stopped emergency vehicles," Peoria police said in a statement. 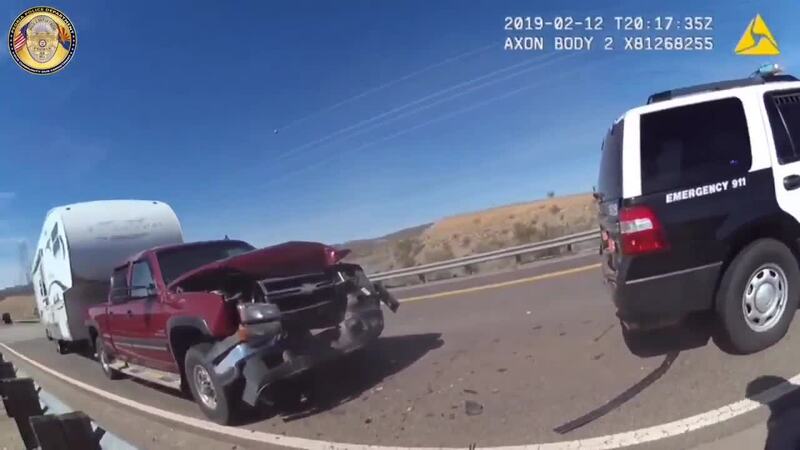 See the dramatic video of the moment a Peoria officer's vehicle was struck by a driver that failed to yield. And that's the key. You have to use extreme caution and eliminate all distractions behind the wheel. Contact Operation Safe Roads at roads@abc15.com.